The Suunto Spartan Sport Wrist HR may not have scored top marks in our full review, but it's the Finnish company's best GPS sports watch to date and packs one of the best wrist-based heart rate monitors we've tested. Suunto has been pretty good at rolling out new features and updates on a regular basis to make the multisport watch a better fit for the outdoors and improve on core features like navigation, activity tracking and making it a much better smartwatch replacement. We've picked up the Sport Wrist HR once again to get to know some of the new features and chosen our top tips and tricks to get the most out of your training sessions. Remember to check you're running the latest software update available though, otherwise you might not see some of these modes and features. 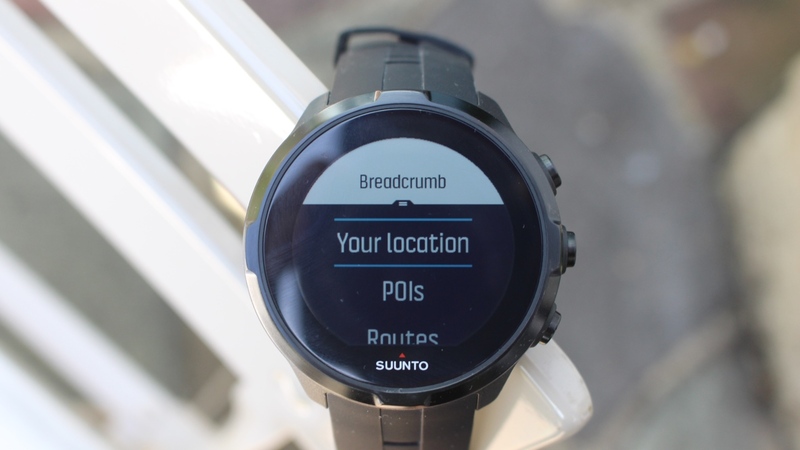 You can check on the Suunto website, to find out if you're fully up to date. We've talked up the benefits of adding in some variety into your training and the good news is that you can now set up some high intensity sessions straight from the Wrist HR. Before starting to track an activity, swipe up on the touchscreen until you see intervals. Here you'll be able to toggle the option on or off as well as setting up repetitions, interval times and recovery times. There's now even support to change up the interval training plan mid-run. It's not going to rival a dedicated smartwatch or Garmin's sports watches for customisation, but you do have the option to mix it up on the watch face front. To take your pick from a small selection of faces, press and hold down the middle button on the watch and pick customise to swipe through the options and adjust colours. Some watch faces do also feature small widgets that include data like local time, date and step counts. You can scroll through these widgets from the watch face by pressing the middle button on the watch. When you're planning to get up high, you can follow a route based on ascent and descent data. To do this, go the main navigation screen and press the middle button on the watch. Here you'll see your altitude profile display. If you veer off the route, a message will pop up on the watch to tell let you know. Then you can head back into navigation to get back on course. This is really useful if you're planning to do some exploring but you want a little help to get back to where you started. When you're tracking an activity with GPS, swipe right until you get to the navigation map, swipe up to to see the options menu, which includes POIs, Routes, Your Location and Find Back modes. Once selected, you'll find a display dedicated to navigating you right back to your starting point. It pays off to spend some time in the Suunto Movescount web app because it's a far more feature-rich place than the smartphone app currently is. It's a good place to build a training program where you can plot activities for the week including details like duration and intensity of workouts. Once you've synced the program to the watch, head to the training status screen, which is a couple of swipes down from the main watch screen and swipe across to see what's on the training agenda for the day. Training Insights explores all of the recorded data in Movescount to give a guideline and what kind of work you need to put in to achieve your goals. So if you're hoping to complete a marathon in under 4 hours, it'll detail how regularly you should probably be training and even pin point the ideal weight to be at. You can find these insights in the web app under the Community tab. Yes, Suunto does apps. Well, they're largely built by the Suunto community and the list of them can be found in the Movescount web app under the Community tab. Here you can save apps to your watch, but just keep an eye on compatibility to ensure they play nice with your Wrist HR. The Sport Wrist HR delivers pretty impressive stamina levels already, but if you're planning a really big trek, then there's a new power saving mode that turns the screen into the low colour option and uses fewer colours to reduce the drain on battery. Head into tracking mode and scroll down where you'll find the power saving menu and tap the low color toggle to get that battery boost. Similar to Garmin's training effect mode, Suunto users can now see how much rest they should take in between sessions. To check in on recovery time, scroll down from the watch screen until you see the dedicated Recovery screen. Ideal for those moments when you prefer not to be bugged by messages, there's a useful Do Not Disturb mode that comes in a handy. To activate it, hold down the middle physical button on the watch. Scroll down and you'll find the option to turn it on. When you're ready to be disturbed again, turn the screen on and press the top button and you're back in action.